Did you know that research indicates 70 percent of all skin conditions in dogs are allergy-related or that skin hotspots can be a result of allergies? The manifestations of these aliments are often in the form of licking, scratching and biting and treated with a combination of wound dressings, ointments and an Elizabethan collar – more commonly referred to as ‘the cone of shame’. 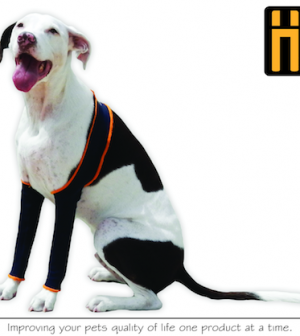 H4LegsTMbrand is pleased to introduce H-Leggings, a health alternative to chemical or mechanical solutions and focused on our pet’s quality of life – Say no to the cone of shame. Our patent pending H-Leggings are a pair of interconnected breathable, reusable and flexible leggings the canine wears as a barrier over a veterinary approved wound dressing, cast, hotspot or irritation of the forelegs. Our product does not impede the animal’s movement or its daily activity as H-Leggings are a nonintrusive solution. We believe in the quality of care given to our pets and H-Leggings are a great alternative to e-collars and anti-licking strips. H-Leggings are made from a specialized, custom made fabric and specifically designed to work as a barrier that flexes where needed while maintaining a snug fit on your dog’s forelegs. H-Leggings are flexible so you pet maintains its daily activity, washable so they can be worn every day and affordable. H-Leggings come as two interconnected leggings as we found this helps break the animal’s fixation on the affected leg. Why spend hundreds of dollars on custom made leggings when our patent pending H-Leggings can address the problem quickly, easily and affordably for only $29.95. You get great results without the cone of shame – they get a pair of H-Leggings acceptable in all dog packs. H4Legs™ specializes in pet products and accessories designed to improve your pets quality of life. Our focus is on the design and development of practical consumer pet products that are easy to use for both the owner and pet alike. 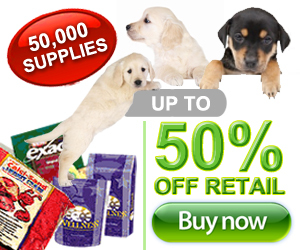 Our products are specifically designed to fit into your pet’s daily activity and improve their quality of life by removing gimmicks and addressing everyday issues with simple, functional and affordable solutions. H4Legs™ products are developed by decomposing convention and vetting concepts to create products that specifically address everyday issues pet owners encounter. H4LegsTM is a premier brand of Krysak Industries LLC. Located in Washington, DC all of our products are proudly manufactured and assembled in the United States of America and shipped with the United States Postal Service. H4Legs Simple, affordable and effective.